If your driving kicks come from trying to be a "Fast & Furious" drift master, Ford Performance has created something that's right up your alley: the world's first electronic handbrake drift kit. But while skidding through turns is fun and exciting, the real cool thing about the new Ford technology is the engineering and easy integration of the kit. 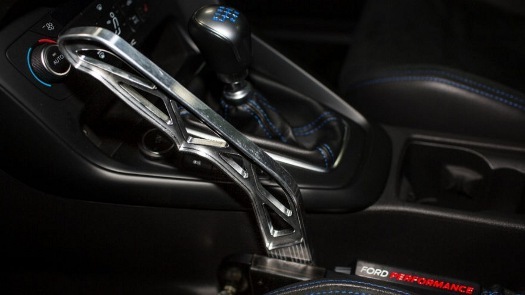 The new Ford Performance Drift Stick is the first-ever, rally-inspired electronic handbrake. 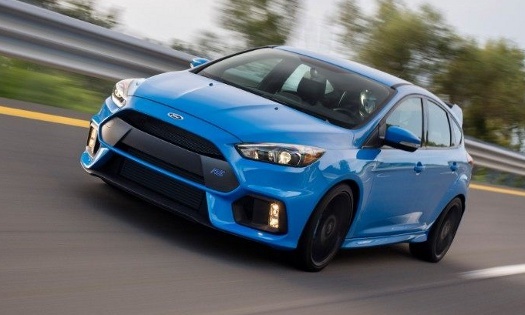 It was developed and designed for the Focus RS. The 2017 car is a perky little high-performance hatch equipped with a unique 2.3-liter EcoBoost engine that produces 350 hp and 350 lb-ft of torque, mated to a six-speed manual transmission. Ford called the new technology "Project Wicked Stick" in-house during development, because the team was led by Ford Performance program manager John Wicks. Previously, the Wicks team designed, developed, and released the Focus RS industry-first Drift Mode, which is a gear-lever switch that provides specially developed calibration for all-wheel drive that modifies torque distribution to help the driver achieve controlled oversteer drifts under circuit conditions. But the Drift Stick is a leap forward. It is an easily integrated aluminum lever between the driver's seat and manual transmission that uses the Ford Performance all-wheel-drive system in conjunction with the antilock braking system, opening up the rear-drive unit clutches and applying hydraulic pressure to lock the rear wheels to induce drift with the simple pull of a lever. The result produces clutch-free drift turns very similar to the experience of a real rally car. The 2.3-liter EcoBoost I-4 powering Ford Focus RS earned the prestigious 2017 Ward's 10 Best Engines award -- the first time the specially engineered engine took home a prize. Ford Performance was formed in 2014 with the intent to combine Ford's racing efforts with its performance vehicles and parts divisions. As the new organization took shape, the Focus RS engineering team started developing a rally-inspired handbrake based on the all-wheel drive, drift mode-enabled Focus RS they developed. They immediately discovered how "wickedly" fun the technology was, and so the Ford Performance Drift Stick was born. To get a real-world stamp of approval, professional rally driver Ken Block was consulted on the Ford Performance Drift Stick. Noted for his viral Gymkhana videos, Block is one of the most prolific users of the hydraulic handbrake in rally cars. He pushed for the electronic handbrake to provide everyday drivers with the quickest possible way to get the Focus RS sideways for large-angle drifts. "I think it's really cool that Ford Performance is offering customers a way to create large-angle drifts in the Focus RS. Obviously, it's something that I'm really passionate about, having been a part of the development of the production vehicle, so it's exciting to see it come to life," said Block. "It definitely makes the car even more fun to drive." 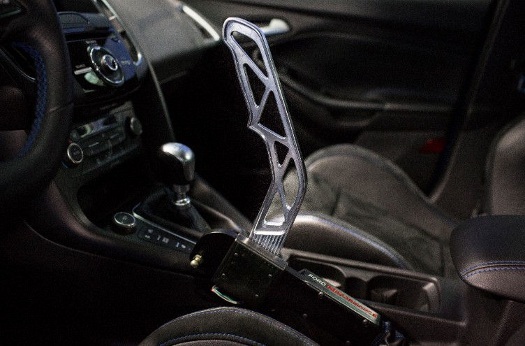 Since a hydraulic handbrake would have required substantial modifications to the car that couldn't be easily reversed, the Ford Performance Drift Stick was developed as an entirely electronic technology. During the design and development stage, a Ford Performance engineer noted the many similarities in its electronics with a part Ford already sells on a regular basis: the professional calibration tool. Integrating this existing technology resulted in easily plugging a USB cable into the Ford Performance Drift Stick to pull select diagnostic data and upload powertrain calibrations for the Focus RS. Instantaneous engagement and release -- just 5 to 6 lb of pressure is required to operate the Ford Performance Drift Stick (significantly less than a hydraulic handbrake) for easy, precise use. Installation and removal is easy, as there is no welding, hole drilling, or calipers as necessary in a hydraulic kit. It also connects to the onboard diagnostics port on the car, allowing it to function as a professional calibration tool. Like the RS's exclusive drift mode, the Ford Performance Drift Stick is intended for track use only. It is available for customers in the United States and Canada priced at $999. The kit includes the Drift Stick lever, mounts, and circuit board with professional calibration functionality. The car's warranty is unaffected by its installation. The Ford Performance Drift Stick just became available Dec. 1 through authorized Ford Performance Parts distributors. Consumer information can be found at Ford Performance Parts (Drift Kit page, along with many other performance-enhancing parts for Ford cars and trucks.